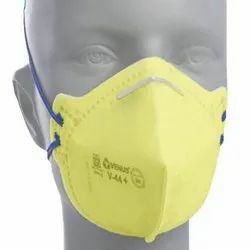 Prominent & Leading Manufacturer from Mumbai, we offer dust face mask, disposal bouffant cap, safety face mask, safety face masks, venus dust mask and dust mask. An economical choice for use in non-toxic applications such as sanding, grinding and cleaning; anywhere there are nuisance dusts. 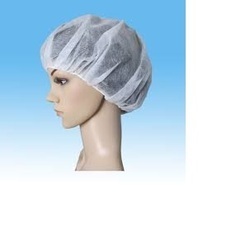 Our best quality of Disposable White Bouffant Caps is accurately designed utilizing superior quality inputs and is high in demand. 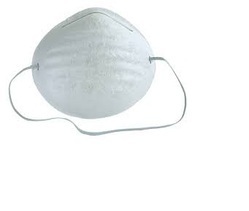 We are the leading manufacturer and Exporter of Industrial Face Mask Hospital, Clinic, Laboratory Cotton, Rayon, Other Fabrics , Non-Woven, Earloop, Mask Securing. 1.20 RS PER PIECE , 1000pc PER PACK , Non-allergic fabric with wide textile covered ear loops. 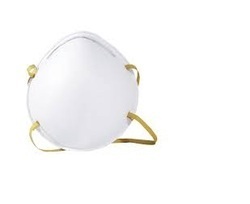 Pleasant to wear and fits well with flexible nose clip.Surgical Mask is fluid resistant and helps reduce potential exposure to blood and body fluids . Design and malleable nose piece make it comfortable to wear, while fitting a variety of facial shapes and sizes. Does not contain natural rubber latex. Latex free, reducing the risk of assosciated allergies (including elasticated ear loops). 3ply filter construction, type II - filteration efficiency exceeds 98% (meltblown filter).